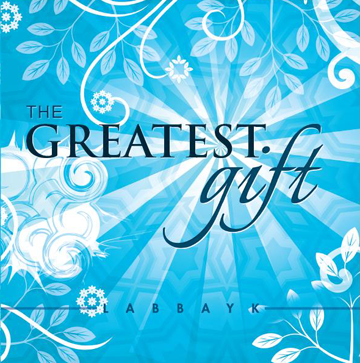 The Greatest Gift - by Labbayk Digital Downloads (Instant Delivery). With the Name of Allah, the All-Merciful, the Very-Merciful The much anticipated album of 2012 by Labbayk is here! With 10 mind-blowing nasheeds, the album is a must-have for every household. The nasheeds have been cross-checked and approved by more than 4 scholars to ensure that the content are within the limits of the Shari’ah.